Are you thinking about buying a high-quality taser like the Taser Bolt for self-protection, but you’re wondering if it’s really worth it? The short answer is yes – it is worth it. We put together a guide to help anybody on the fence about purchasing a taser make an informed decision, and how to properly carry and use a taser. 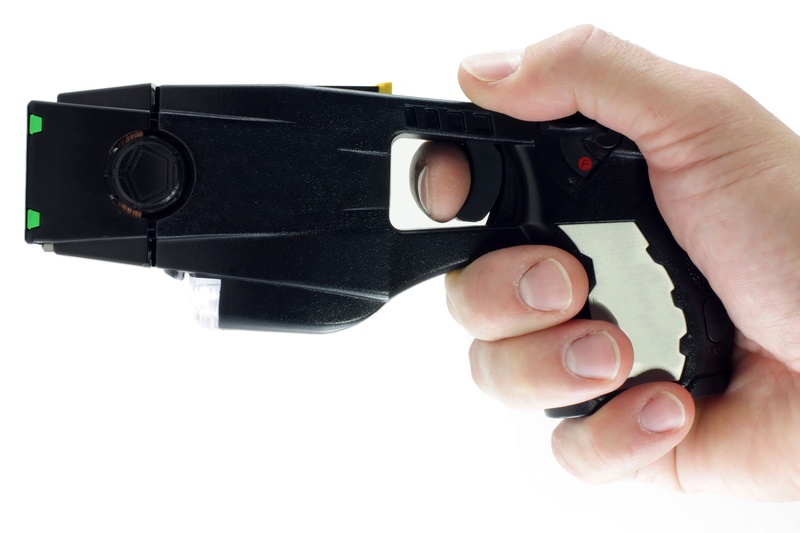 When people hear the word “taser” they tend to think of a taser gun or a stun gun. However, there’s a pretty big difference between the two. Stun guns have two nodes attached to the gun that when activated create a “pop” of electricity that travels between the nodes. Stun guns need to be in contact with someone’s skin to effectively “stun” them. Tasers, on the other hand, shoot electrodes up to ten to fifteen feet. Instead of electricity running between two nodes on the device, electricity runs between where the node lands on the target and the device. A stun gun can penetrate a certain amount of clothing but will not paralyze a target. Rather, a stun gun will electrocute and cause a shocking amount of pain to a target temporarily. These devices are better for scaring attackers off and intimidating them with a loud pop and flashes of light. A taser has the ability to immobilize a target and is better at stopping an attacker without getting too close to them. However, the downside is that a taser only gives you one shot, so your aim had better be good. Overall, a taser is a bit more superior than a stun gun due to its power alone. Carrying a taser is a simple way to protect yourself without a firearm. It’s important to note that a taser or stun gun can cause serious injuries to attackers and sometimes can result in death. But they are still significantly safer than firearms, for both yourself and your potential attacker. They are easy to conceal. Taser guns are fairly small and compact. They can fit in a purse or back pocket fairly easily and inconspicuously. Some tasers are so small that they can be attached to a keychain for easy access. …and not everybody feels comfortable carrying a gun around. Taser guns as well as stun guns are not considered firearms and are legal to own in forty-five states. However, in some of those states there are prohibitions on where you can carry your taser, so brushing up on what your state’s regulations are is important. They’re handy if you’re a woman and alone. It’s unfortunate that we live in a world where women can’t walk alone at night without the potential for harm. Women can better protect themselves by making it a habit of carrying a taser in hand on nightly walks home. How was our guide to understanding tasers and how they work?